The body is the main forum for learning about how to do, think and believe and it is a starting point for the granting and forming of many forms of meaning. Fourteen papers explore the relationship between knowledge and the body through a series of historical and archaeological case studies. More specifically, it considers the concept of embodied knowledge by exploring some of the apparent diverse and yet shared forms of what may be called embodied knowledge. The papers share a focus on knowledge as it is implicit and expressed through the human body and bodily action, and as it formed through intentional practices. But what is this kind of knowledge? 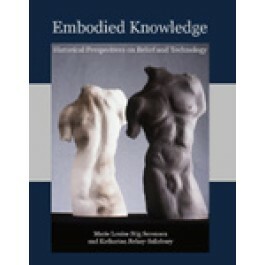 Using specific case studies of knowledgeable actions, the book explores embodied knowledge through a focus on practice. It does so through two different, yet interconnected aspects of how such knowledge expresses itself: belief and technology.